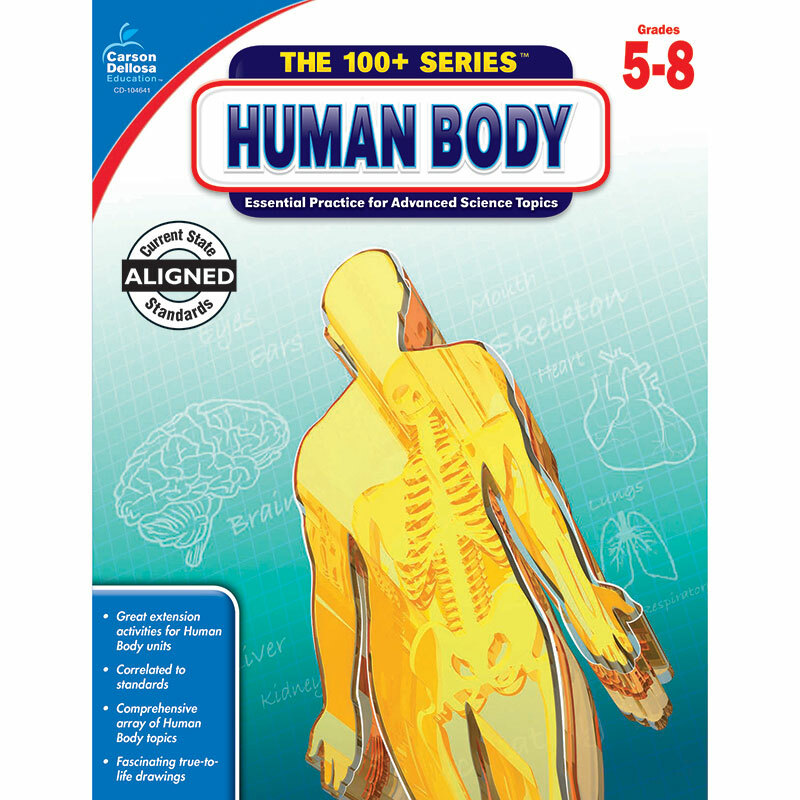 The Human Body for grades 5—8 is designed to aid in the review and practice of life science topics specific to the human body. The Human Body covers topics such as all of the body systems, genetics, and healthful living. The book includes realistic diagrams and engaging activities to support practice about all areas of the human body. The 100+ Series science books span grades 5—12. The activities in each book reinforce essential science skill practice in the areas of life science, physical science, and earth science. The books include engaging, grade-appropriate activities and clear thumbnail answer keys. Each book has 128 pages and 100 pages (or more) of reproducible content to help students review and reinforce essential skills in individual science topics. The series is aligned to current science standards.